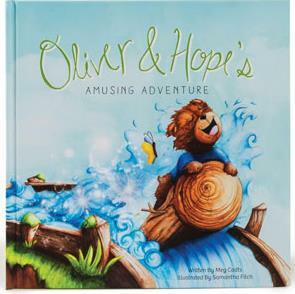 New Children’s Book to Teach about Resiliency! Not only is this a fabulous read aloud book for elementary age children, but this book is created by the talents of folks at the UnitedHealthcare Children’s Foundation. The UnitedHealthcare Children’s Foundation (UHCCF) is a 501c3 charitable organization, supporting UnitedHealth Group’s Mission of “Helping People Live Healthier Lives.” UHCCF offers grants to help children gain access to medical-related services not covered, of not fully covered, by their commercial health insurance plans.